DD Freedish going to change its frequencies on 9th January Midnight. So on morning 10th January you have to rescan or re-tune your set-top box to get all channels. After this migration you will get 64 TV Channels and 24 Radio channels. It means you will get 5 extra TV channels and 2 extra radio channels. "Viewers/Subscribers who do not rescan their Set Top Box shall continue to get only 10 Channels for a period of seven days only, from the date of upgradation. Out of these ten channels, one channel is an informative channel which will show detailed procedure for returning the Set Top Boxes," the statement said. Question: Should I change my Set-top Box with any new one? Answer: No, You no need to change your set-top box; you just need to blind scan only. At this time DD Freedish testing MPEG-4 channels, at this time there is no live channel on MPEG-4 slot. So you can use same box. Answer: If your current set-top box is not supporting Blind scan system then you can fill this technical information by provided frequencies details above. 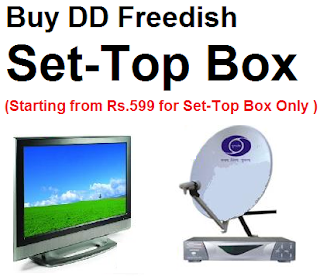 For more updates of DD Freedish DTH, Please keep visit our www.dddirectdth.com Blog. This blog is not responsible for any wrong information visit official site of Doordarshan or contact helpline numbers. I AM USING SOLID 939 FREE STB AND VIEWIN DD FREE DISH. THIS STB HAS BEEN LOCKED BY MANUFACTURER AND DEMANDS PASSWORD FOR MANUAL SYSTEM SET UP, SO I CAN NOT EDIT ANY SYMBOL RATE OR FREQUENCY TO IT. I have beetel set top box.there is no option to fill frequency and symbol rate.it shows current information which I am unable to edit. After seting the frequency as shown above. I have got channel no 14 test 114 with seven colour bars horizontal. On my HD-MPEG4 settop box. Karnataka, Bangalore. When I try to auto scan the STB,it displays 'space is full'.why so? call me on 7503065467 . i have full new informations about dd dth thanku . Kese pata kare ke box mpeg-4 he ya dusra? 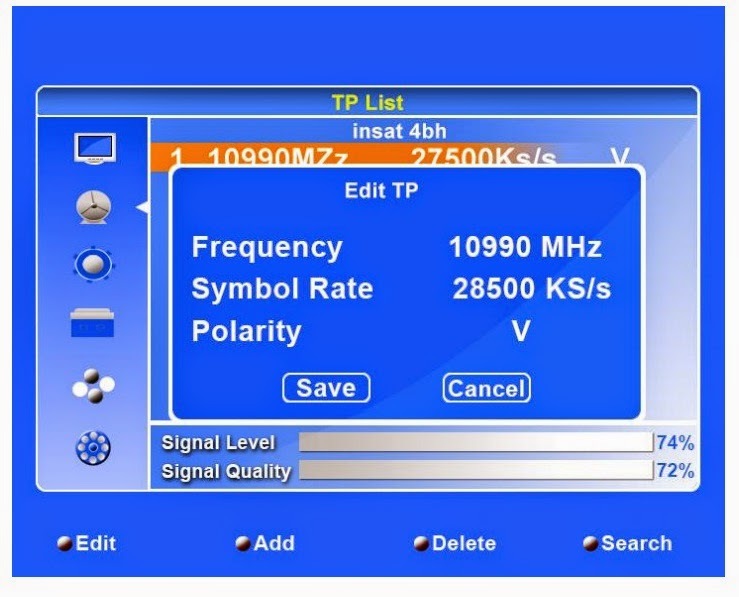 set top box.there is no option to fill frequency and symbol rate.it shows current information which I am unable to edit. really nice artical for more info about DD FREEDISH please visit my blog. My local cable is darsh intetainment how to hack all channel or all free air channel 64qam system please help. akash 8 music fatafati do baras service de dijiye. set top box.please send me curunt information fill frequency and symbol rate.plese send me all new fequvency..and plz make me sure this box is MPEGP 4 or not. I have beetel sd 96 set top box. It has different options than other Stb's. Please help me by telling step by step. What is the different between DD freedish and ABS freedish? Are both same? Where is connection availed? Is One connection used to both? Please reply. Gujarati news channel TV9 Sandesh news ABP Asmita ETV plz add this chanals also for humbal reqvest. If you want to watch UTV Action and Hungama TV then you can tune your Dish antenna to Reliance Big TV DTH. both channels are temp free to air. you can check on freetoair .in website.